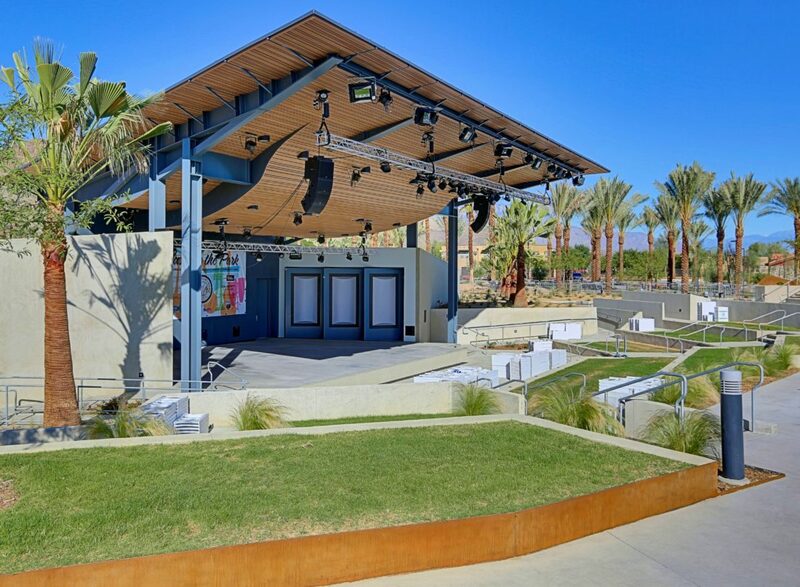 The goal for the Rancho Mirage Amphitheater was to develop a memorable venue for a variety of performances that did not detract from the existing experience of the park. 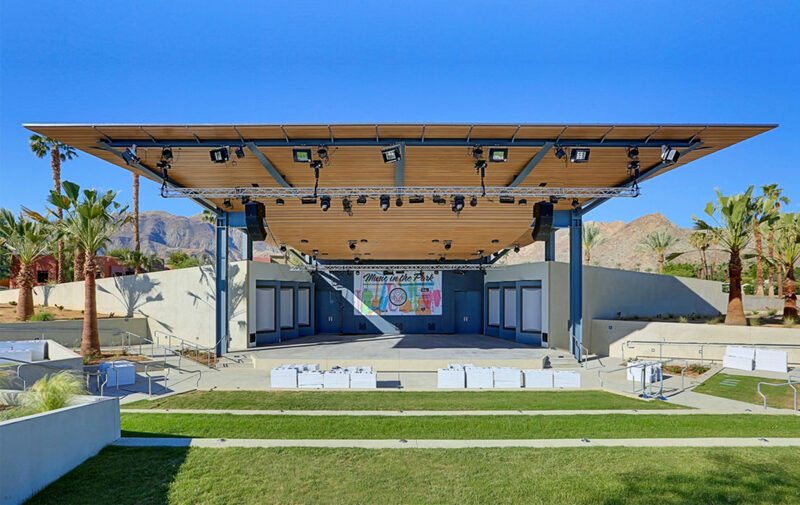 To accomplish this, the amphitheater nestles into the site to take advantage of local mountain views. 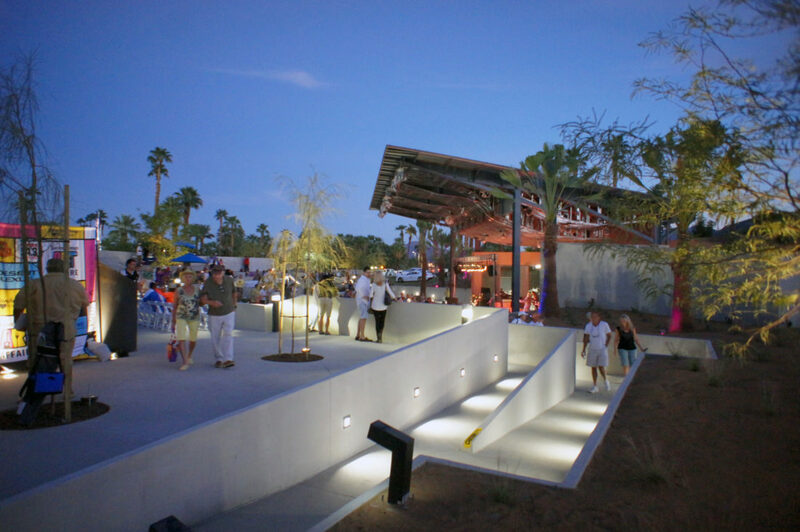 The stage and lower bowl seating area recess below grade, allowing the visible scale of the venue to be respectful of the neighborhood. 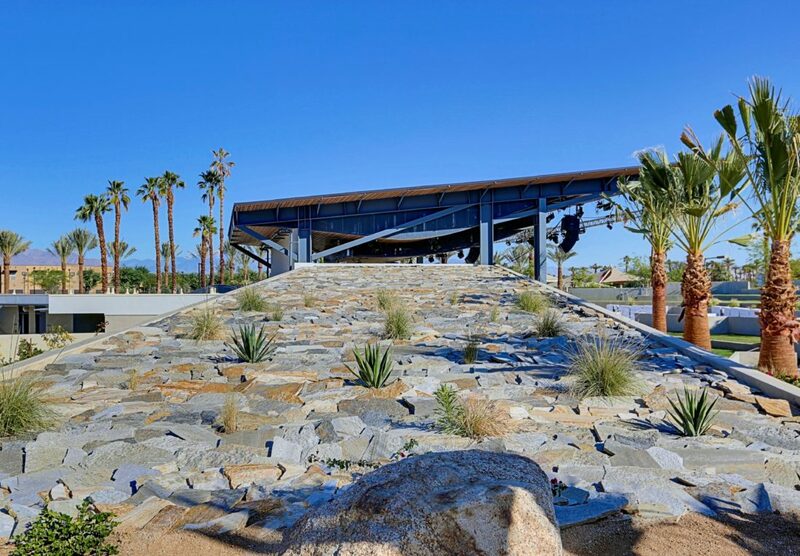 Intruding landscaping material, specimen trees and a building design that emerges from the earth tie the architecture into the park setting the atmosphere. 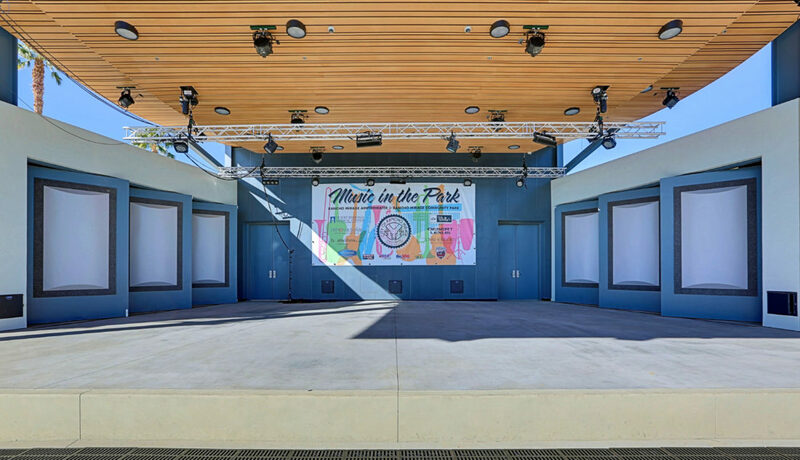 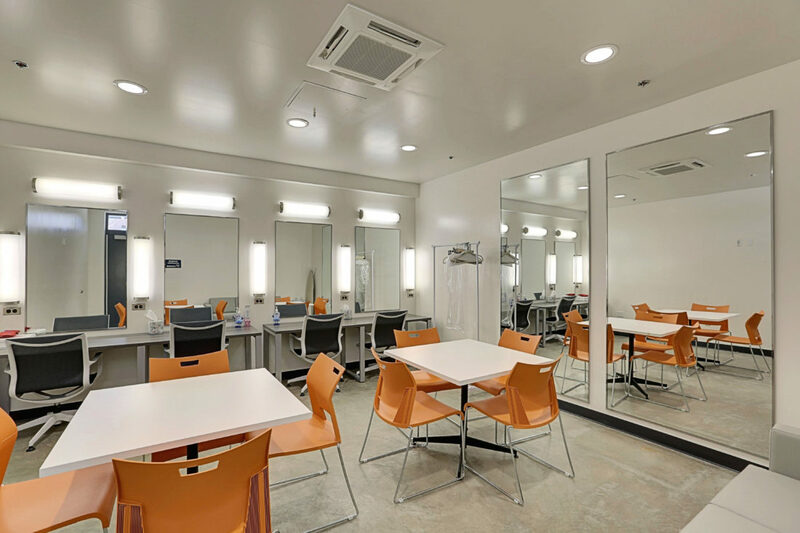 The result – a space that functions as both amazing park space and performance venue.